Situated in Cartersville, Hampton Inn Emerson - Lakepoint, Ga features free WiFi. This 3-star hotel offers a 24-hour front desk. Marietta is 26 km from the hotel. The nearest airport is Hartsfield-Jackson Atlanta International Airport, 61 km from the property. 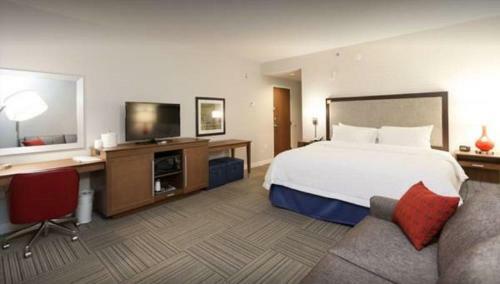 the hotel Hampton Inn Emerson - Lakepoint, Ga so we can give you detailed rates for the rooms in the desired period.